VIENNA, November 12, 2018	(Newswire.com) - The global full-service provider for digital marketing opened its new Vienna office in summer 2018. 360 Celsius’ international corporate structure combined with its manpower offer a full-range approach to digital marketing in a high-speed and holistic way - now available for Austrian clients. 360 Celsius is one of the pioneers in the development of digital marketing solutions and has already won its first major customers. The 360 Celsius Group, a global, owner-managed full-service provider for digital marketing, has successfully entered the Austrian market. The company, which has developed a methodological approach for growth hacking and is leading in the development of innovative tools for planning, controlling and measuring campaigns, has been operating in Austria since the end of July 2018. With a first track record after just three months, the planned sales volume will be around EUR 1.5 million by the end of the year. The company currently has a team of 15 employees in Austria, which will more than double by the end of 2019. For 2019, a sales volume of EUR 8.0 million is planned. In addition to Austria, the group also includes sites in Ireland, the U.K., Turkey, Dubai, Iran and Singapore. 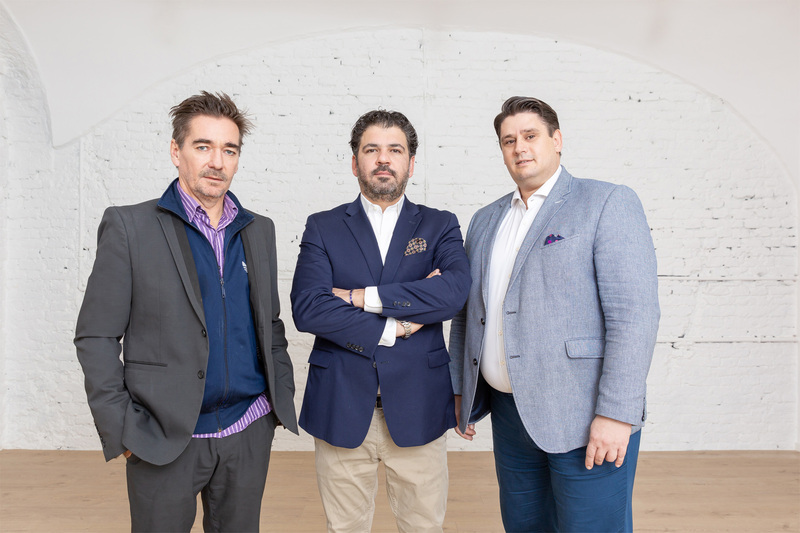 "Austria is an important hub for us and we think it is time to put an offer on the market that meets customer needs, technical capabilities and necessary resources," says Farbod Sadeghian, managing director of 360 Celsius Austria and CEO of the corporate group. "To be successful in digital marketing, it takes speed - with our global network of branches and our more than 260 employees, we can work agile and far-reaching for our customers. We are characterized by being able to monitor comprehensively and in real time, respond promptly to feedback and produce new content quickly and at any time." When planning and implementing, 360 Celsius identifies content as a key success criterion for all digital marketing activities. The most important channels for this are Instagram and YouTube, whereby video content is the most authoritative and informative tool. The service portfolio of 360 Celsius includes classic digital marketing services such as Inbound Marketing, SEO Strategy and Video Production. In addition, the company provides consulting services on and conceptualization of digital activities to comprehensive outsourcing solutions for digital marketing. "Our international growth hacking know-how allows us to combine the most effective and cost-efficient measures in one campaign, tailored to the needs of our customers," says Sadeghian. Keeping with the "all mobile advertising in one window" philosophy, 360 Celsius develops innovative technologies for its customers. "We have our own strong R&D unit, which has developed many tools with the experience from the daily work for the daily practice that are now standard - for example, currently we are working on a Digital Media Dashboard," said Sadeghian, explaining the core competence of the group. "We are able to assess innovation and see ourselves as an active partner in the development of technologies that benefit our customers." In addition to its own activities, 360 Celsius also invests in companies that develop complementary technologies. 360 Celsius has achieved some sales successes since July 2018: "We have convinced initial key-accounts of our service portfolio and are looking forward to joining the path ahead of us," says Erwin Marcov, COO of 360 Celsius Austria. "We see that we can offer our customers something out of the ordinary which the market in Austria does not currently have, although there are many providers who use the term 'growth hacking.' However, they often lack the speed and manpower to implement effective campaigns successfully."